You are browsing the archive for 2018 February 01. Despite the NRA’s power, legislators in many states are working to disarm men with domestic violence records. A minor miracle happened on Tuesday in Annapolis, Maryland. About 200 activists with Moms Demand Action for Gun Sense were rallying in the state capital to support the passage of a restriction on gun ownership, and they were met with resistance by counter-protesters from the NRA. At first, things were tense between the two groups, but, in a surprising twist for our hyper-partisan times, the NRA protesters, upon learning what the bill is about — taking guns away from people convicted of domestic abuse — decided to switch sides, throwing their support behind the bill instead. It was a small sign of something that gun safety advocates have been saying for years: Changing gun laws is not as impossible as many believe. When it comes to legislation aimed at making it harder for domestic abusers to get their hands on guns, in fact, activists and legislators are quietly securing political victories across the nation. “Reporters are constantly asking me, 'Do you think Americans are numb? '” Shannon Watts, the founder of Moms Demand Action, told Salon. “That makes it appear that there’s no work being done. “The domestic gun violence bills that disarm domestic abusers have passed in 25 states and the District of Columbia,” Watts added. We’re getting ready to do it in Maryland, maybe Pennsylvania.” In five years of existence, her organization has helped secure a remarkable series of victories. “I’ve been able to heal and overcome and survive by helping others and being a voice,” said Giovanna Rodriguez, a Rhode Island activist who helped pass a bill in September in her state that requires those under a protective order to surrender their firearms. She became an activist after escaping a marriage she describes as physically and emotionally abusive. “What was part of our daily lives was the gun that was the centerpiece on our table,” she described. “That’s where he put it as a constant reminder that if things were not done his way, when he wanted how he wanted, that would be the consequence. A tax cut bonanza for the finance industry. Candidate Donald Trump referred to Wall Street as a cabal of global financiers who had robbed the working class, but instead of “draining the swamp,” the Trump administration filled top positions in the White House with former Goldman Sachs insiders. In 17 out of 20 broad policy areas, the Treasury proposals released after the inauguration mirrored those of The Clearing House, the trade association for the country’s biggest banks. Last summer, House Republicans passed the Financial CHOICE Act, a radical bill that would repeal all manner of Dodd-Frank rules that make finance safer and less abusive. Just since October, the House Financial Services Committee has passed over 50 bills that either benefit Wall Street directly or weaken consumer or investor protections, paving the way for future Wall Street profits. A Penn/Wharton Business School study revealed that the finance industry is the largest long-term beneficiary of corporate tax cuts, and is expected to gain $250 billion over the next decade from tax cuts for “C corporations” alone. JPMorgan and Wells Fargo’s tax cuts will total $7 billion in the first year alone. Private equity funds stand to rake in $19 billion over 10 years from the carried interest loophole remaining intact. One theory suggests vulgar sleep-talk toughens you up for reality. If you talk in your sleep, you’re probably unwittingly working blue, as they say. Researchers find that most people who talk in their sleep tend to utter more curse words and negative phrases than while they’re awake. It turns out that sleep-swearing and the like may actually have real benefit. A new French study suggests all that salty talk could be nature’s way of helping us prepare for the trials and tribulations of waking life. French scientists from multiple educational, medical and speech-focused institutions recruited 232 study subjects aged 29 to 69, then observed their sleep chatter over two nights. The researchers recorded 883 “speech episodes,” the bulk of which were nonverbal: laughter, whispers, shouts and yells. But among the sizeable sample of intelligible words, they found a notable number of negative ones, particularly when compared with non-sleeping utterances. “The most frequent word was 'no,'” study authors note, pointing out that “negations represented 21.4 percent of clauses.” Nearly 10 percent of utterances included swear words, with the f-word making an appearance at “a rate of more than 800 times than what was spoken while awake,” per Live Science. There was also a preponderance of “verbal abuse” by the somniloquists, “mostly directed toward insulting or condemning someone.” Men spoke in their sleep more often in general than women, and also used a greater number of swear words. On a riverbank in Texas, a master of disguise waited patiently with his accomplice, hoping that his target, an infamous horse thief, would show himself on the trail. After four days, the hunch paid off, when the bandit unwittingly walked towards the man who haunted the outlaws of the Old West. Springing from the bushes, the cowboy confronted his frightened mark with a warrant. As the desperado reached for his weapon as a last ditch effort, the lawman shot him down before his gun could leave his side. Though the quick-draw tale may sound like an adventure of the Lone Ranger, this was no fictional event. In fact, it was one of many feats of Bass Reeves, a legendary lawman of the Wild West—a man whose true adventures rivaled those of the outlaw-wrangling masked character. Reeves was a real-life African-American cowboy who one historian has proposed may have inspired the Lone Ranger. 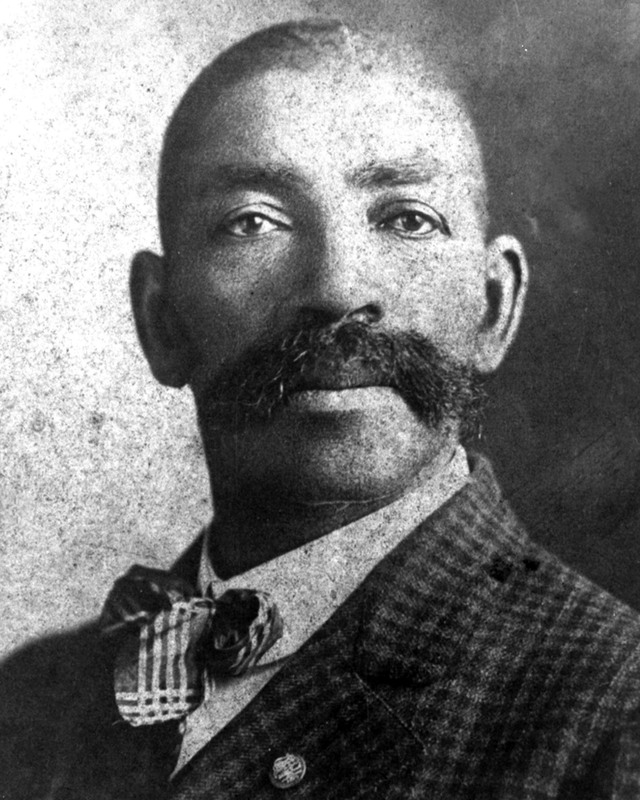 In 1838—nearly a century before the Lone Ranger was introduced to the public—Bass Reeves was born a slave in the Arkansas household of William S. Reeves, who relocated to Paris, Texas, in 1846. It was in Texas, during the Civil War, that William made Bass accompany his son, George Reeves, to fight for the Confederacy. While serving George, Bass escaped to Indian Territory under the cover of the night. The Indian Territory, known today as Oklahoma, was a region ruled by five Native American tribes—Cherokee, Seminole, Creek, Choctaw and Chickasaw—who were forced from their homelands due to the Indian Removal Act of 1830. While the community was governed through a system of tribal courts, the courts’ jurisdiction only extended to members of the five major tribes. That meant anyone who wasn’t part of those tribes—from escaped slaves to petty criminals—could only be pursued on a federal level within its boundaries. It was against the backdrop of the lawless Old West that Bass would earn his formidable reputation. Upon arriving in the Indian Territory, Bass learned the landscape and the customs of the Seminole and Creek tribes, even learning to speak their languages. After the 13th Amendment was passed in 1865, abolishing slavery, Bass, now formally a free man, returned to Arkansas, where he married and went on to have 11 children. about the propensity of these immigrants to commit crimes. boot—that eviscerate the credibility of his case. immigrants without making Americans safer. counts that as 10 individuals. In his 2018 State of the Union speech, Donald Trump repeatedly referenced a specific gang, MS-13, by name. These mentions were intended to justify his administration’s anti-immigration policies. Though MS-13 originated among Salvadoran immigrant communities in L.A., most of its members are now concentrated in Central America, particularly El Salvador. The group is relatively small: Of the 1.4 million gang members the FBI estimates are in the U.S., less than one percent of them belong to MS-13. Despite his lack of experience, Goldfarb maintains that Robert Kennedy rose to the occasion. 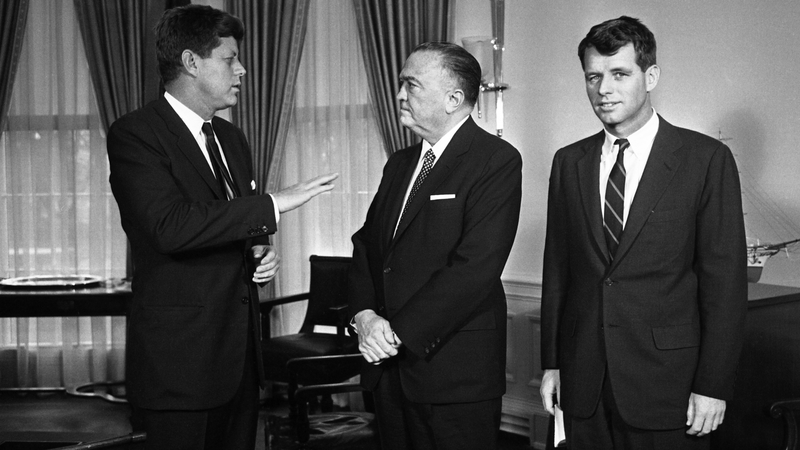 Under Kennedy, one of the DOJ’s main focuses became the Mafia, which by the mid-20th century had an estimated 5,000 members and thousands of associates across the country. Previously, individual gang members had been investigated for crimes, but this was the first time the government had attempted to take on a whole criminal organization. Moreover, buyers and sellers have no control over the price of the product. They are price takers. However, if this is so, who then introduces new products and how? According to the proponents of the perfect competition model, any real situation in a market that deviates from this model is regarded as sub-optimal to consumers’ well-being. It is recommended that the government intervene whenever such deviation occurs in order to again impose a competitive model closer to a state of perfect competition. Also according to the popular view, the government must intervene to prevent the emergence of a situation where a producer dominates or monopolizes a market and sets the price above the truly competitive level. This, it is held undermines consumers’ well-being. In real life, though, the ability of a producer to monopolize a market is limited by several factors. First, we must note that the goal of the typical business is to make profits. This however, cannot be achieved without offering consumers a suitable price. swinging, the way kids must clap to sustain Tinker Bell. The good news is that there are reasons to doubt this prognosis. her appointment merely shored up the outer flank of that coalition. would-be replacement adjust the Court’s equilibrium? or his replacement) in the same manner. federal intelligence and law enforcement communities. information.” The memo may reportedly be released soon. privacy and civil liberties reeks of disingenuousness. controversial warrantless spying authority known as Section 702.
overseers and conceal egregious misconduct.